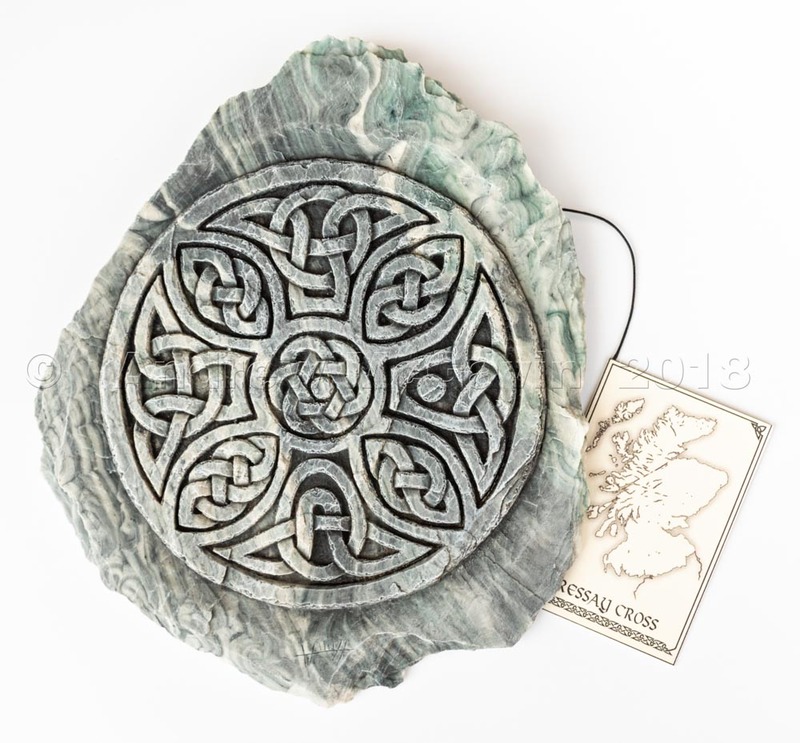 The design used on this plaque is taken from a Celtic stone found on the tiny island of Bressay in the Shetland Islands off the North coast of Scotland. This wall plaque features an unusual form of Celtic Cross contained within a circle, and is taken from the front face of the original stone. The knotwork designs decorating this wall plaque may have had a symbolic meaning for the ancient Celts, or they may have been purely decorative, unfortunately, like much of Scotland's Celtic past any meaning is lost in the mists of time.